Below is a comprehensive list of hotels in Cressbrook Dale. Use the sort links to refine your search or to find featured accommodation in Cressbrook Dale. Many of our hotels in Cressbrook Dale feature no booking fees and best price guarantee when booked through the Pictures of England website. To list your hotel in Cressbrook Dale, click here. 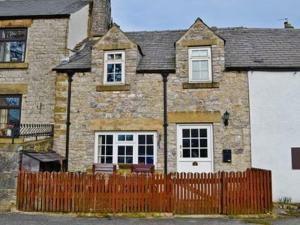 Cornerstones Cottage offers pet-friendly accommodation in Tideswell, 37 km from Manchester. The unit is 23 km from Sheffield. There is a dining area .. 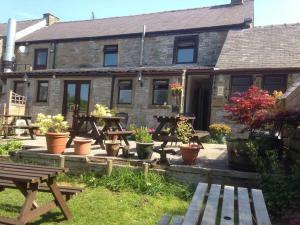 Situated in Tideswell, this holiday home is set 37 km from Manchester. The property boasts views of the garden and is 23 km from Sheffield. An oven a.. 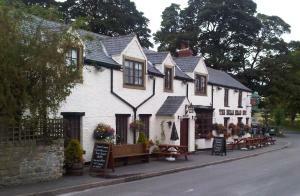 Featuring free WiFi throughout the property, The Queen Anne offers accommodation in Hucklow. The hotel has a sun terrace and views of the garden, and .. 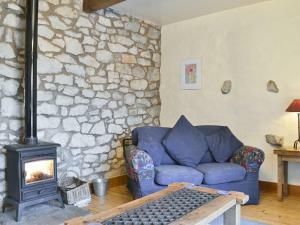 Situated in Eyam, Innisfree Cottage offers free Wi-Fi throughout and free onsite parking. Chatsworth House is just 15 minutes’ drive away. With vie.. 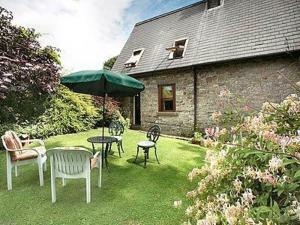 The Cow Shed is a holiday home with a garden, set in Millers Dale. The property features views of the garden and is 37 km from Manchester. There is a..
Barn End Cottage is a holiday home set in Millers Dale in the Derbyshire Region and is 38 km from Manchester. The unit is 27 km from Sheffield. Free W..